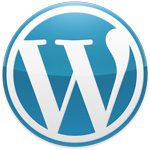 WordPress is an excellent website platform for small business, and one of my clients is a great example of how to put it to work. Fried On Business is a weekly business radio program on AM 880 The Biz in Miami. The host, Jim Fried, has many years of experience in the commercial real estate industry, mostly on the finance side of the business. The show just celebrated its 250th episode. That's five years on the air. The current site has been up and running since December 2012. It is now home to nearly 300 audio files for shows and interviews. The database alone is more than six megabytes in size. Yes, that's a pretty big database. Adding editorial features to the site, including a blog, individual guest interviews, and guest profiles. Upgrading and reactivating the ad display system so click-throughs could be tracked more accurately. Creating custom profiles in Google Analytics to allow more accurate reporting on site visits and ad views. Making code changes that allow the audio files to play on any device. Implementing caching to improve page load speed for the site. A possible move to a virtual private server (VPS) to further improve site performance. A possible redesign using a template that has more features and more flexibility. There you have it – a short case study on how WordPress is being used successfully by a real-world business to deliver real-world results. Be sure to check it out at FriedOnBusiness.com.